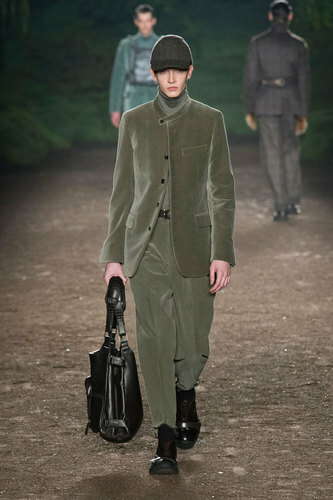 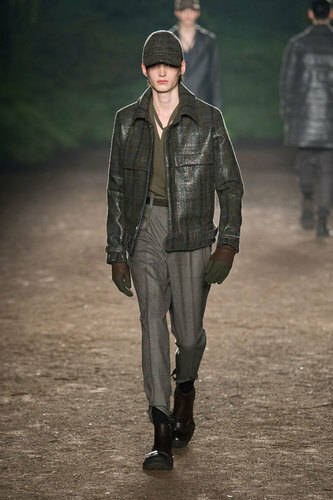 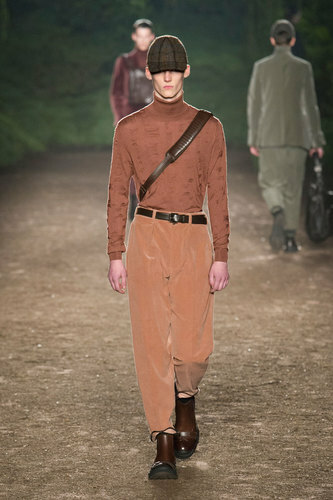 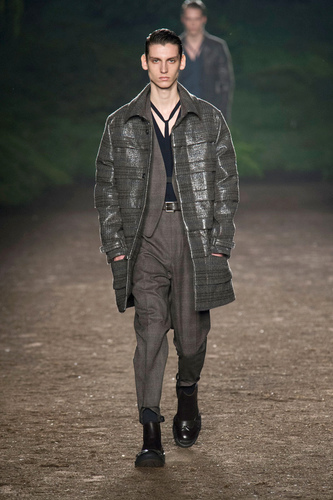 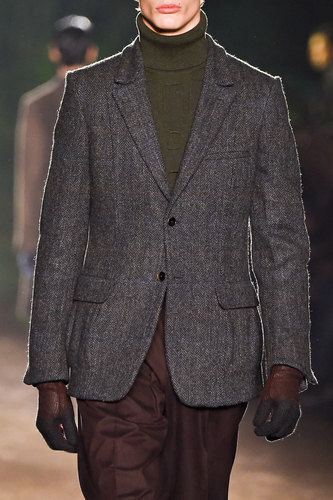 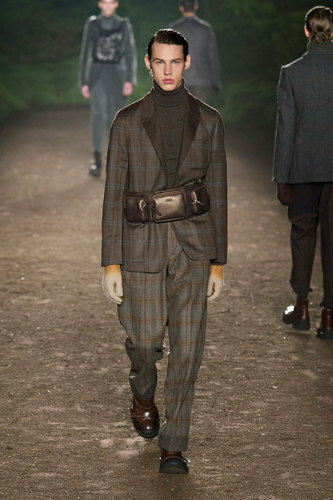 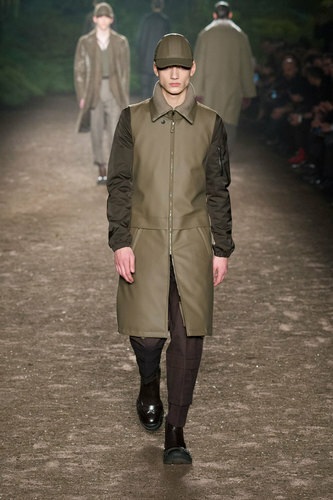 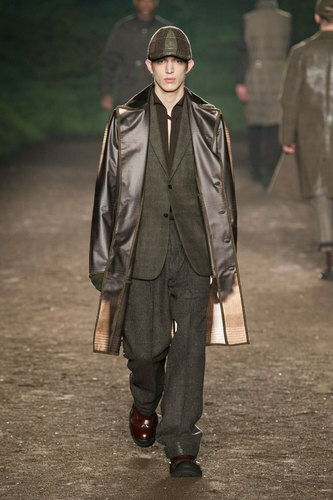 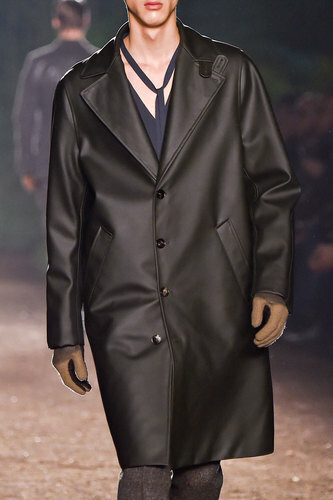 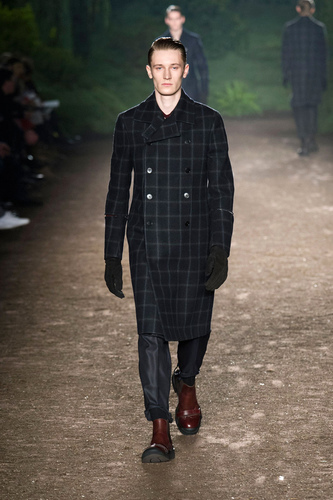 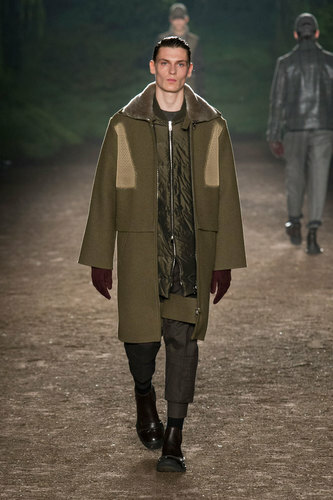 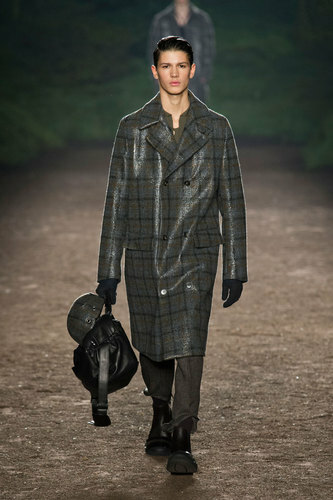 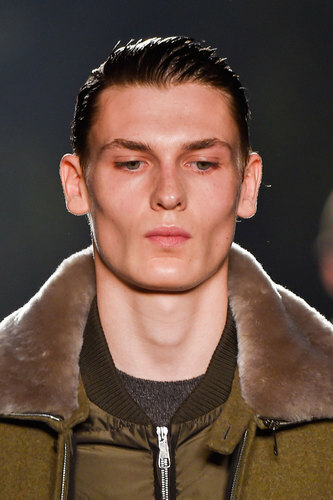 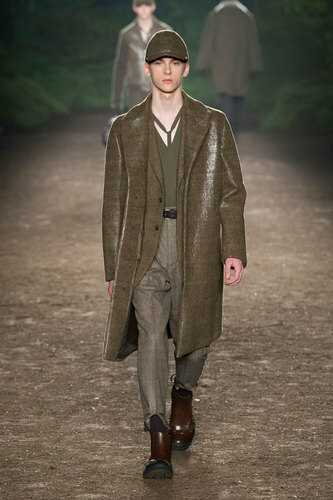 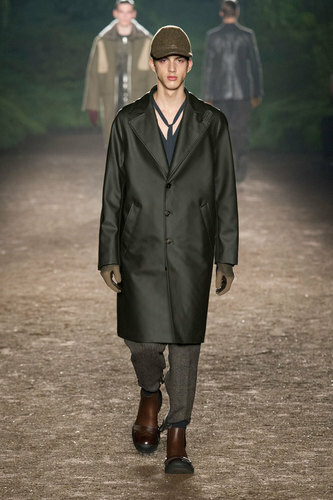 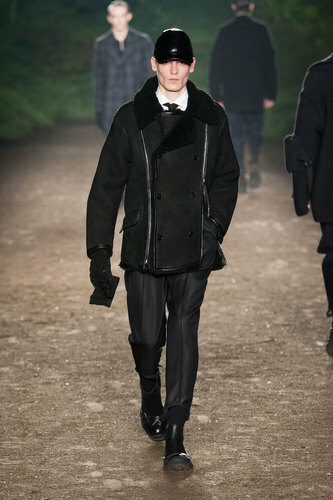 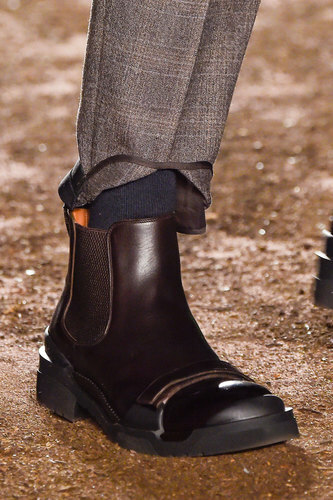 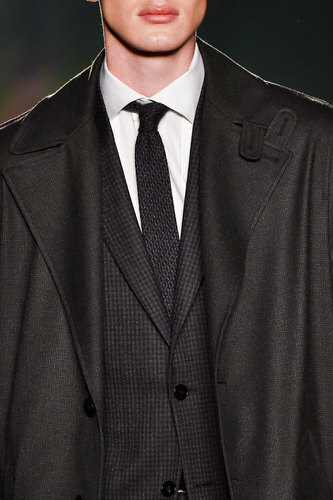 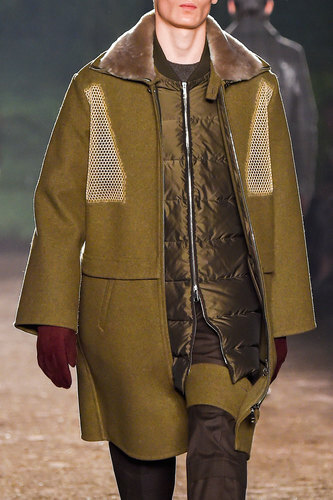 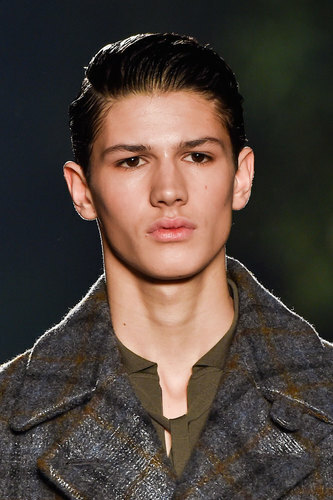 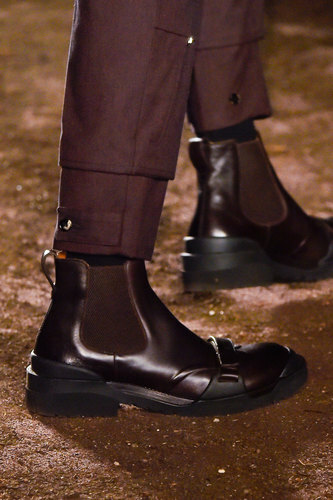 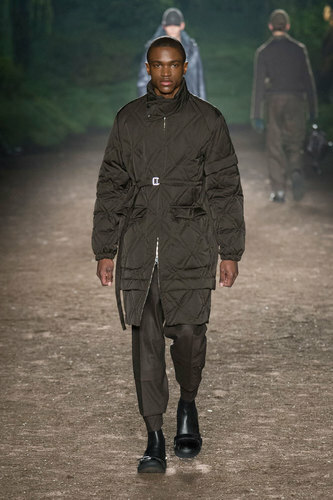 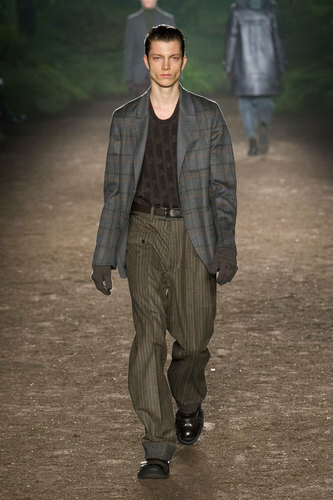 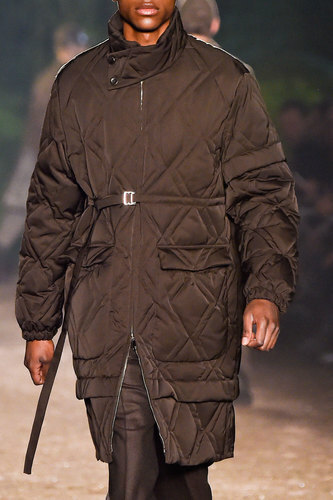 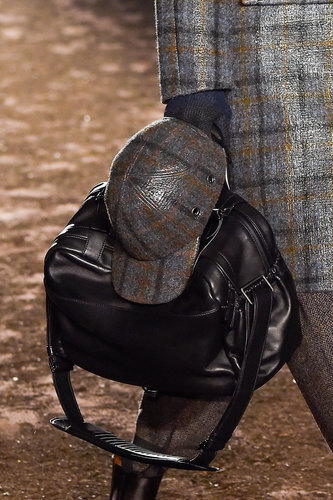 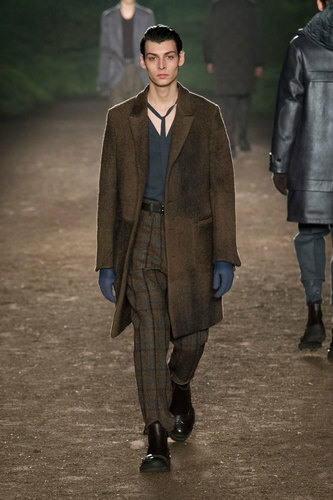 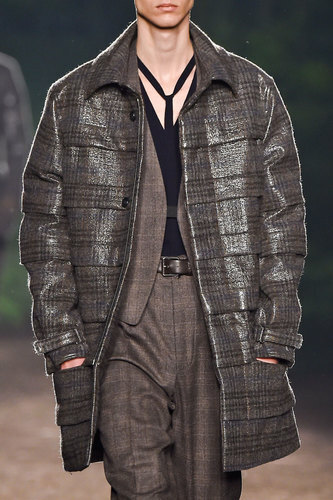 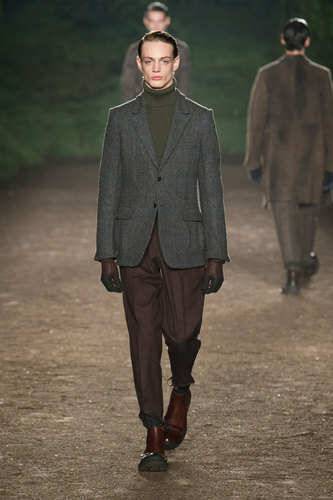 Ermenegildo Zegna Man Autumn-Winter 2015-16 – Ermenegildo Zegna latest collection took place in a forest mysterious scenario: The modern man trying to survive in the urban jungle. 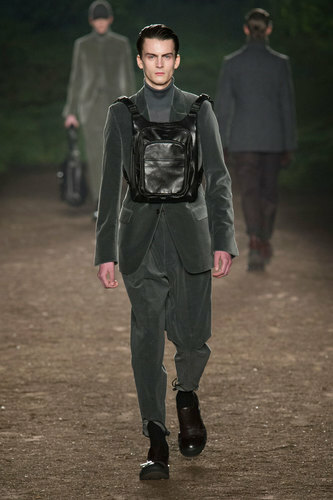 The designer takes inspiration from the nature. 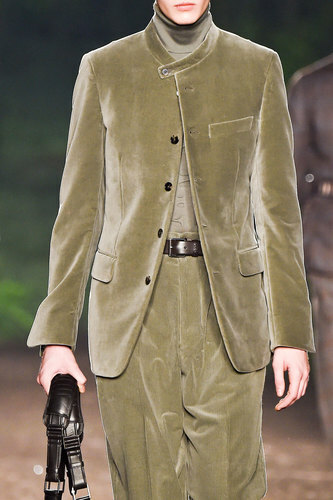 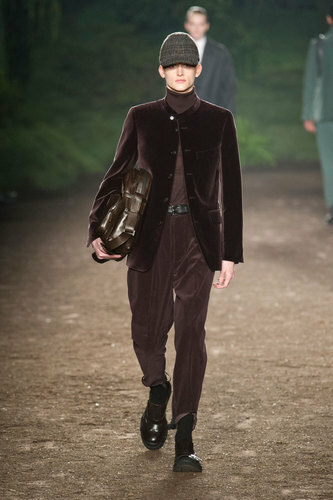 This versatile man wears comfortable clothes in different textiles: from autumn velvet tones to shimmering coats. 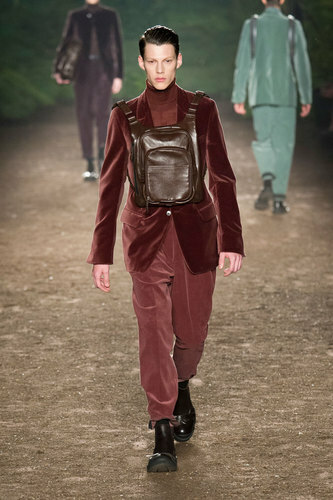 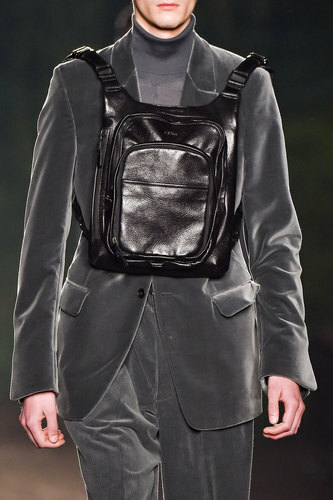 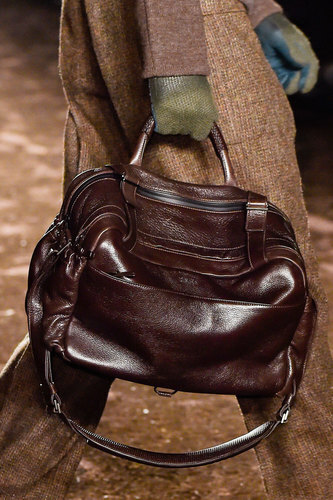 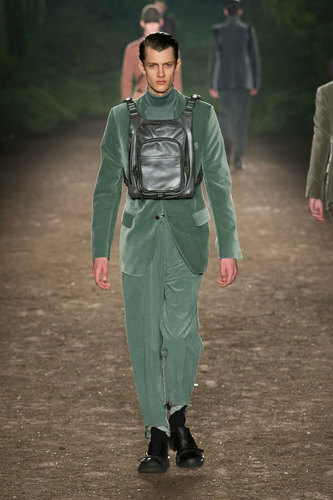 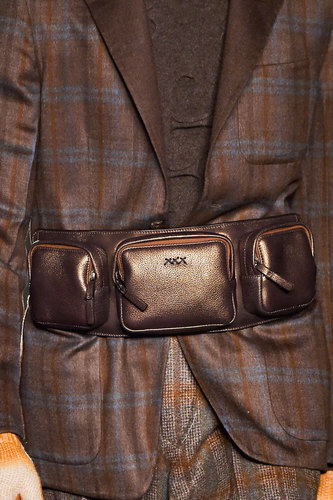 Zegna represents an eco warrior who tries to protect the environment and himself: Backpacks are worn on the front of the body suggesting a defensive feeling. 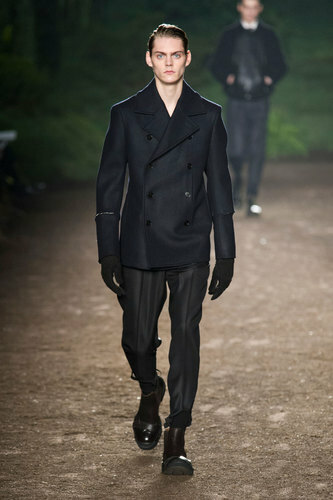 Baseball elegant hats and leather gloves complete the outifts. 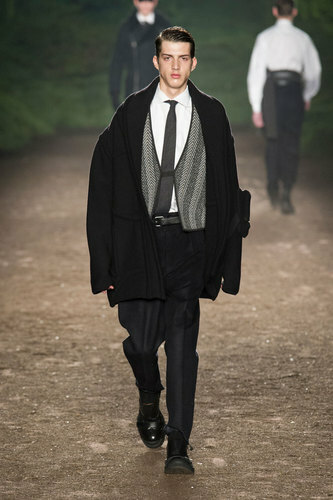 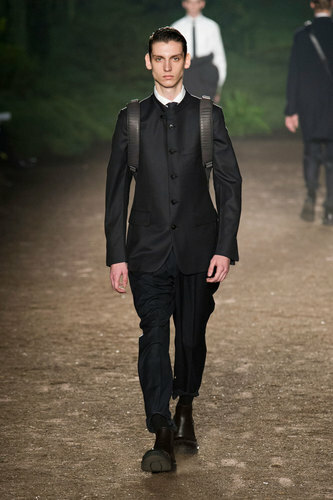 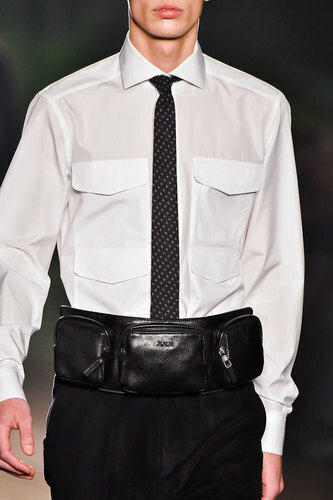 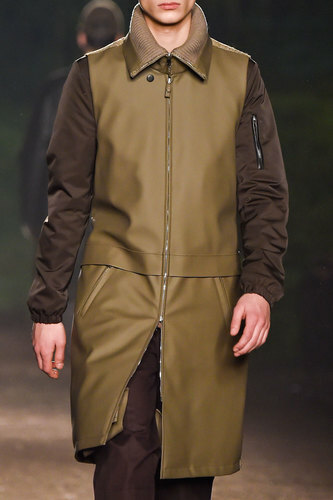 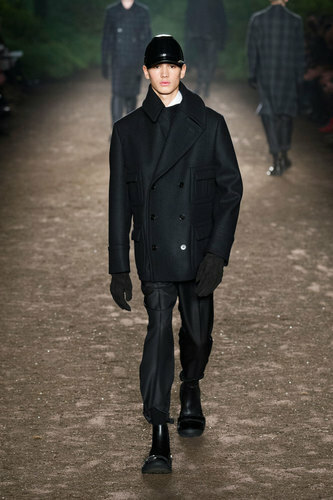 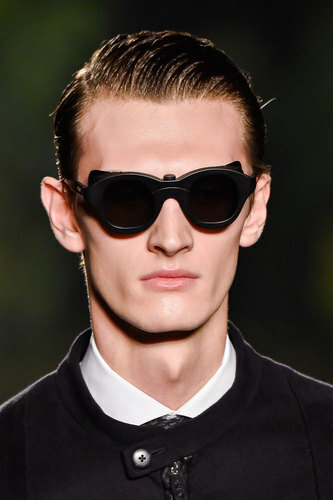 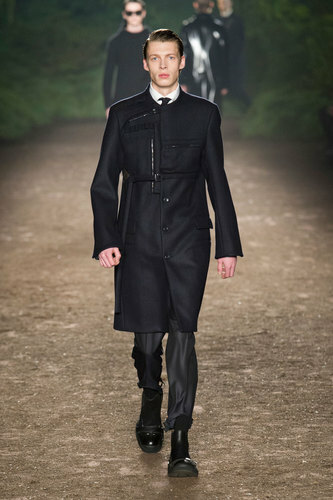 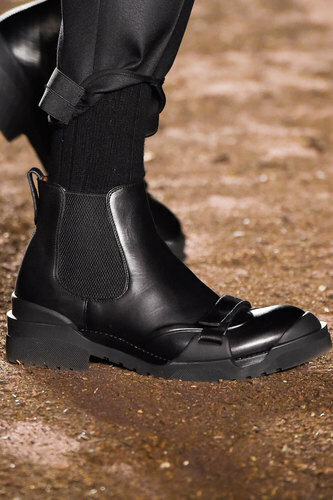 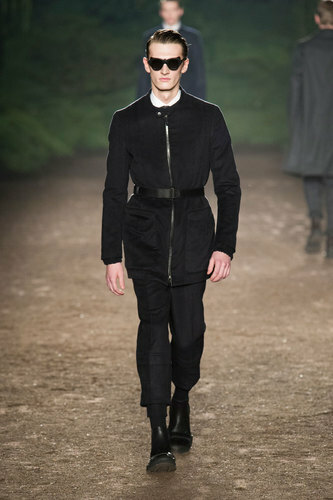 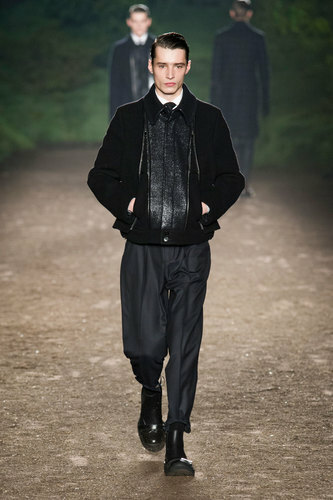 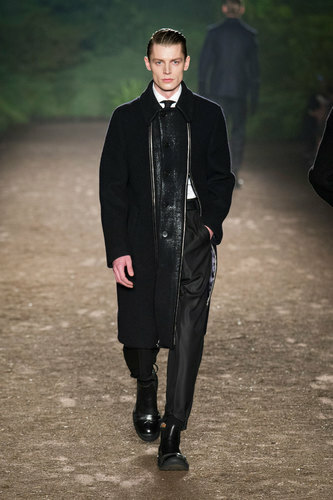 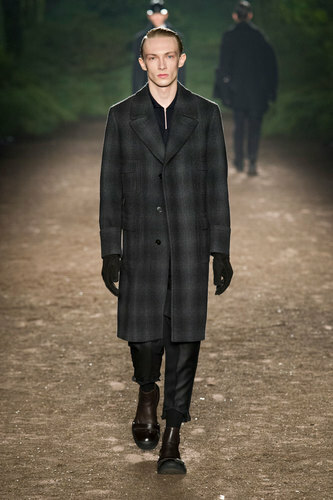 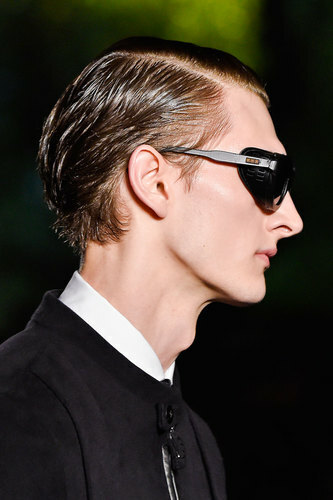 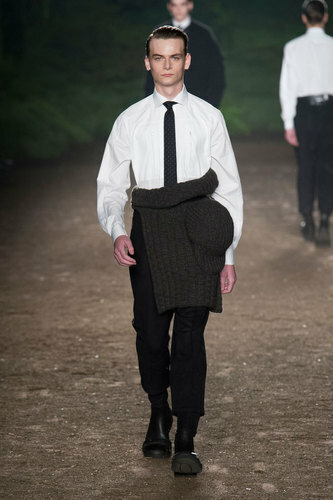 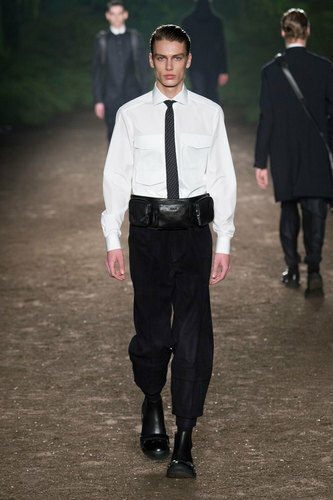 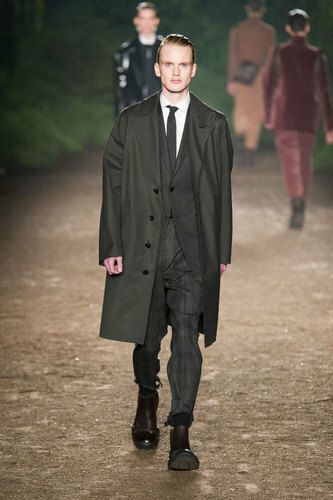 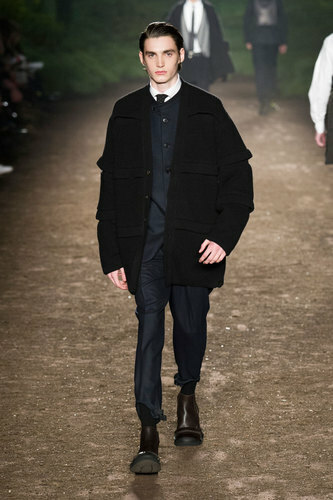 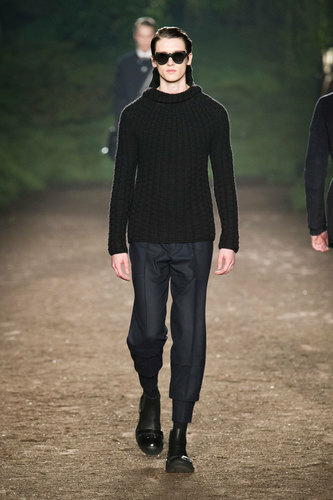 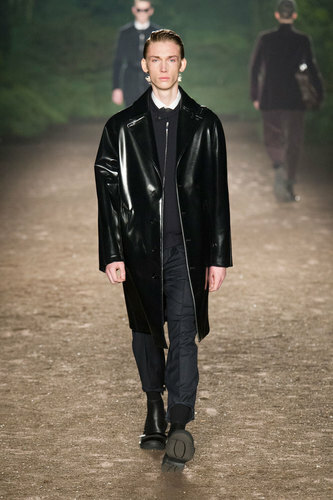 While in the first part of the show the urban casual man is central, the last part of the show represents a very elegant classic man in black garments. 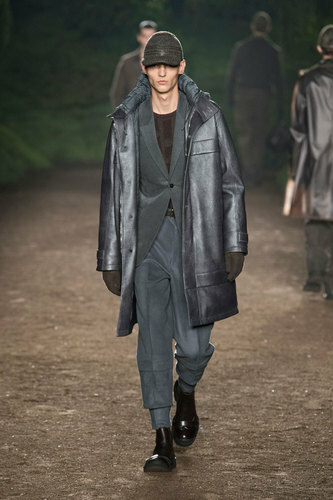 The last look of this tailored collection is an eye catching coat double zipped on the front and lined with purple silk .